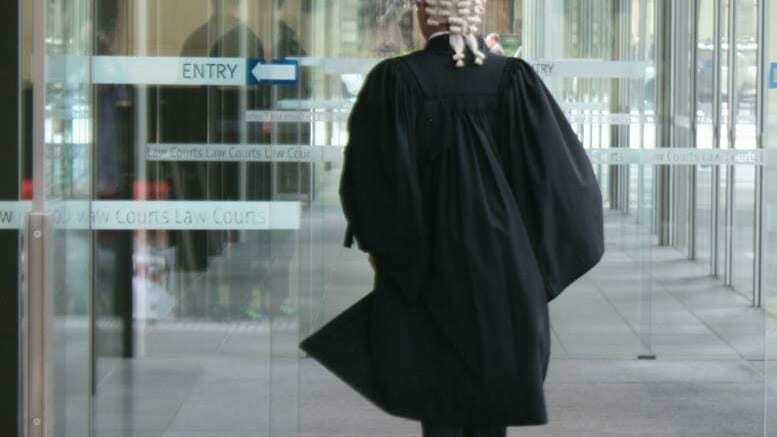 Disgraced liquidator's counsel convinces court to suspend sentence. BPS Recovery partner and bankruptcy trustee Max Prentice. MAX Prentice’s grip on the bankrupt estate of Robert Gilbert Coshott may have loosened a tad this week after Federal Court judge Jayne Jagot on Tuesday overturned the decision of her Circuit Court counterpart Rolf Driver on appeal from the bankrupt’s brother. In May Judge Driver ruled on an application by Ronald Michael Coshott and Fewin Pty Ltd seeking confirmation of their status as creditors in the bankrupt’s estate and an order compelling Prentice to call a meeting of creditors. In rejecting the application, Judge Driver expressed doubts about aspects of the applicants’ claim. “I have a general difficulty with the asserted assignments of debt from Fewin to Mr RM Coshott,” Judge Driver said in his judgement of May 29, 2015. “…. there is no reliable evidence of any consideration for those assignments. The evidence advanced by the applicants consists of the minutes of a meeting of Fewin held on 23 August 2013 where it was resolved that $359,487.08 payable by Mr RM Coshott under the deed of assignment of debts from Fewin to Mr RM Coshott be paid by way of repayment by Fewin of moneys allegedly owed by Fewin to Mr RM Coshott, and that the company’s accounting records be adjusted to reflect this. The minutes are signed by Mr RM Coshott,” Judge Driver said. “There is, however, no other evidence of the asserted debt owed by Fewin to Mr RM Coshott. He was called upon to produce the books and records of Fewin for the purposes of these proceedings but nothing material was produced. I infer that such records of the company as may exist would not have assisted him,” Judge Driver added. Judge Driver also described Ronald Coshott as “a reluctant, and at times evasive witness” under cross-examination in relation to the financial affairs of himself and Fewin. “His credibility also suffered in dealing with questions from counsel for the trustee about his motivation in his dealings with Mr Prentice, including in respect of numerous legal proceedings instituted by him and Fewin. “In my view, the purported assignment of debts from Fewin to Mr RM Coshott was simply an artificial device intended to permit him to either gain control of the administration of the bankrupt estate or at least to exert a substantial influence upon it. Ronald Coshott appealed the ruling on July 6. This week Justice Jagot heard the parties before delivering spoken judgement. In upholding the appeal, she expressed concerns about the sham finding. Justice Jagot ordered the parties to confer and submit agreed orders within seven days. Prentice promptly filed a Notice of Contention seeking to resolve the question of the value of the debts assigned to Ronald Coshott by Fewin. If that also goes in Ronald Coshott’s favour Prentice might not survive a resolution to replace him. SiN understands Prentice – who on Thursday headed off for some respite on Fiji’s Plantation Island – also disputes certain costs to the estate which he believes should rightly be incurred by the bankrupt’s wife Ljiljana. This episode of the saga, which began with Robert Coshott’s bankruptcy in 2008, still has a way to run. Meanwhile, Nicholas Crouch and Shabnam Amirbeaggi, who were appointed to sell Robert and Ljiljana’s Bellevue Hill home after Prentice won possession in 2013, are retaining the proceeds of sale while awaiting review and approval (or otherwise) of their fees and those of their lawyer, Matthews Folbigg principal Steven Mullette. Given Ljiljana Coshott is entitled to half the proceeds not absorbed by other costs of the bankruptcy, any fees are likely to be carefully scrutinised. Might another episode be brewing? Be the first to comment on "Coshott win could be curtains for Prentice"